As London’s contemporary art scene continues to grow, offering an incessant and somewhat relentless stream of new creative talent, we are faced with a paradox of choice; what to do, who to see, and where to go. DROOL is a new independent platform that explores and exposes London’s most interesting happenings within its creative scene through its carefully researched and curated listings. Its online presence embraces the DIY spirit which inhabits so many young people and aims to connect like-minded individuals by promoting weekly events, screenings, and workshops happening across the city. DROOL’s online presence is raw, simple, and undiluted. Instead of sponsored listings, DROOL endorses and showcases what it believes in; providing a platform to promote the most cutting-edge art and artists in London. TEETH spoke with DROOL’s Founder, Alex Liepman to learn more about the platforms strong visual content, why its relationship with the art establishment has been challenging at times and what their future plans are. Lara Monro: Can you summarise what DROOL offers as an online platform? 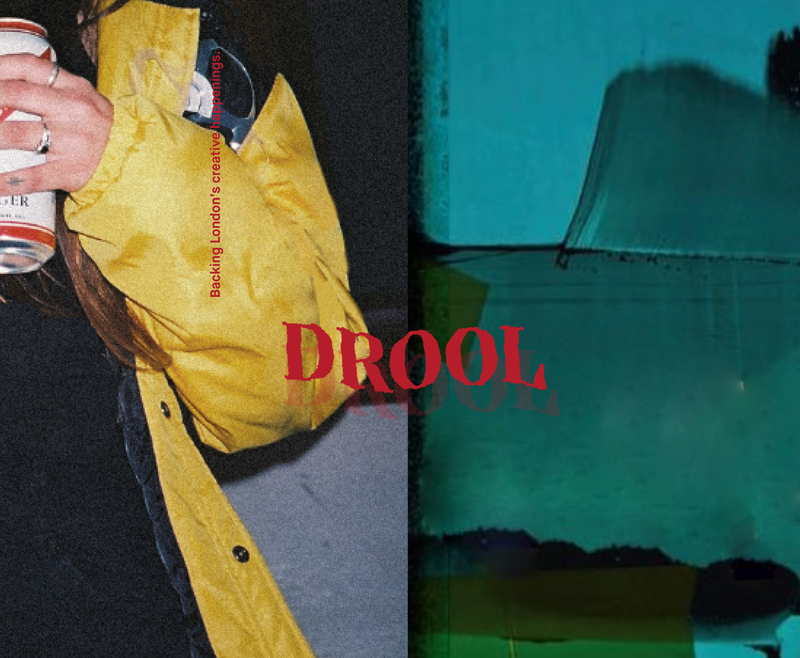 Alex Liepman: Through carefully curated content, DROOL aims to better connect young people with the wider creative sector. We want to give people a real sense of direction. When they visit our site, they should experience and learn something new each time. Users can discover and review our selection of the best events, exhibitions, screenings and workshops taking place across the city each week. From intimate talks at homegrown spots to expansive audiovisual events at commercial spaces, we keep the platform simple. We’re run by young creatives for young creatives, and therein lies the originality. Our mission to represent youth culture ensures everything we promote is in accordance with our audiences’ taste, rather than trying to appeal to a certain trend or brand. How did DROOL come to fruition? DROOL was formed on the basis that I knew nothing about what was going on in London. I basically was DROOL’s audience. Having moved to London a little over 2 and a half years ago with some crazy aspirations, I hoped to uncover some mad creative underworld that would ultimately inspire and influence my graphic design career. But I struggled to find anything near that. In fact, this experience revealed London’s lack of openness and supportiveness for young creatives across the board. So I wanted to create an opportunity for artists, curators, and independent galleries alike to promote their work and efforts. Which is why the content we push out, on both our platform and Instagram page, widely supports and validates the work of creatives in the early stages of their career, as opposed to those that have already made a name for themselves. It’s an interesting time, as many exhibitions now come about after an artist has established themselves online. So we feel, the more backing artists can gain from online platforms like ourselves the better, as they can now bypass the traditional resistance many saw from more uptight gallery spaces. Would you agree that visual content is more important to DROOL than text-based content – if so, why? Definitely. The arts are a universal language and are visual in nature. So designing the platform with this in mind was very important. I wanted it to be as visual as possible, with each page blending large imagery with exciting functionalities, to ultimately offer a lasting impression. I believe it’s important to be as transparent as possible. Users should be given a true insight and representation of what’s expected of the things we are endorsing, and imagery allows us to achieve this. Where did the name DROOL come from? In essence, the name DROOL has no roots or real meaning. But that’s what I intended. I wanted a name that had no direct link or correlation to the industry we are in or the work we do. That way we can put a personality to it. As you continue to promote the most exciting and cutting-edge creative happenings in London, are there any themes/artists/collectives, etc. that you would say are most prominent in the London scene? We’ve seen loads more art and exhibitions crop up that experiment with the medium of digital and internet art; with the relationship between humans and technology being a particular theme that’s appearing more and more. I think it makes for a fascinating subject too. It’s a comparison between the creator and the created, and with the increasing amount of tech advances in the world, our brains are pretty much taken over by machines on a daily basis anyway. So people are starting to explore some really interesting angles in regards to it, examining new pathways between virtual and physical worlds. A collective we rate that’s prolific in internet art is ‘isthisit?’ Founded by Bob Bicknell-Knight, they operate as an online gallery and host rosters of guest curators to interrogate a variety of different concepts. They also pull together offline exhibitions across the UK and Berlin showcasing lots of cool artists. They are worth checking out. Can you name any galleries/institutions/organisations whose exhibition programmes you respect most? London’s got some really prolific and high-profile public galleries and spaces. But the city’s artistic offering stretches far beyond the obvious selection, offering a number of awesome smaller options that are a bit more off the radar. 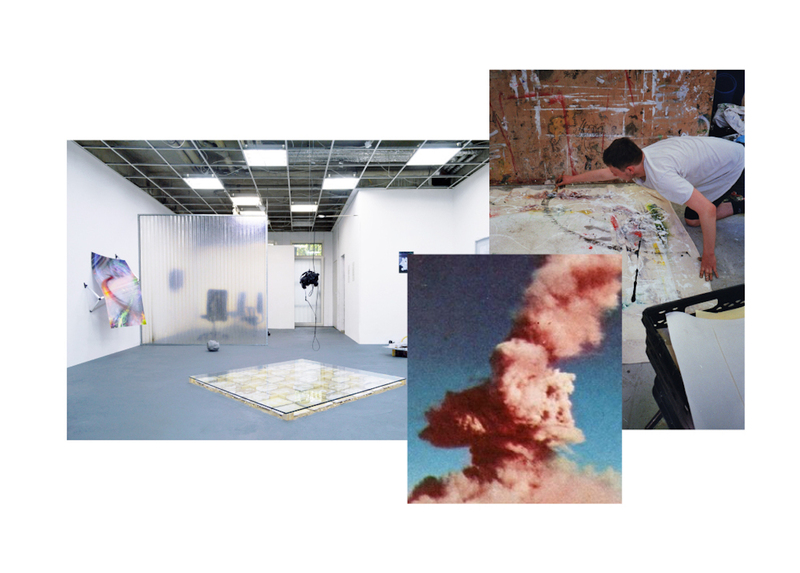 The independent galleries we’ve got a lot of time for are Annka Kultys, Arebyte, IMT, and Doomed. But we also respect a number of larger institutions regarding their programmes and offerings, like ICA, Somerset House, Tate Modern, Barbican and Hayward. We like to keep our finger on the pulse though, so we’re always on the lookout for new and innovative art initiatives. And we’re actually noticing a lot of small ones popping up in South and East London, which is really great to see. Have you found the contemporary art world to be responsive to your platform and what you have to offer? Bringing art and the people involved in it together should be a positive thing, but we have had a few run-ins, as well as a blatant lack of support from larger organisations. But it doesn’t really bother us. To be honest, it’s made us stronger and has allowed us to grow independently, whilst embracing our DIY spirit. As in my eyes, it’s a million times better to be apart of something where anything goes, and anything can happen than being directed or dictated by others anyway. Are you working on any projects for 2018? We’ve got tons of plans floating around, all of which tie into our ongoing commitment to support young creatives. We’re just trying to be smart and grow strategically. But we definitely have big ideas, particularly around further integrating our efforts of showcasing early-stage creatives from our Instagram page, with that of our online platform. One way we hope to achieve this is by representing and working directly with creatives to sell their artwork affordably on our site. Where do you want to see DROOL in 3 years? Down the line, we want to take our online experience and create something more tangible for our audience. We want to create a way for friends and like-minded people to interact physically, channelling our communities’ passion for the arts through a series of DROOL run exhibitions, workshops, talks and live discussions. We also hope to see DROOL expand, both across England as well as into Berlin. Which artists/collectives is DROOL most interested in at the moment? The level of talent in the UK and across the globe at the moment is immense. We’re always scouting non-stop. On blogs, Instagram, magazines, Facebook, at exhibitions – literally everywhere, which is ultimately why we started our Instagram page. It has played a significant part in helping us discover and connect, not only with galleries and emerging artists but also with our community. To pick out a few we are interested in at the moment, includes George Rouy, Sailey, Olga Fedorova, Roxman Gatt, Opashona Gosh, Margot Bowman, Saelia Aparicio, Max Prus, and Aurora Sander.